There are many ways to enjoy the benefits of essential oils. Languishing in a luxurious aromatherapy bath or enjoying an oil-infused massage are two popular methods. Oils could be dispersed in the air, dab an oil balm on a pulse point, or sprinkle a few drops of oil on a tissue and inhale the scent deeply. Here are the main ways to enjoy essential oils. An essential oil massage has the added benefit of soothing touch. A massage from a trained aromatherapist is a wonderful treat, but you can just as easily enjoy a massage from a partner, or practice self-massage, which is a great way to nurture oneself and can become part of a daily skin- and health-care routine. 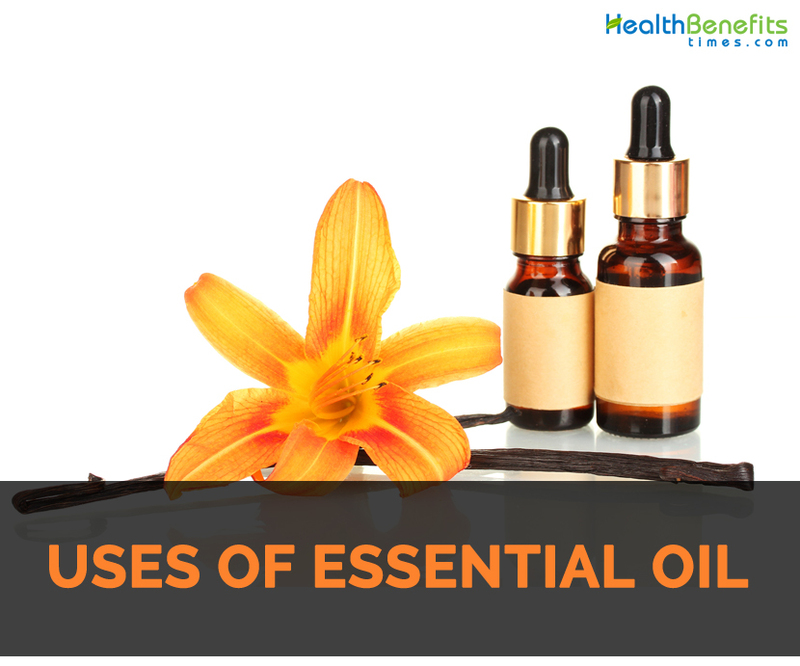 Essential oils are concentrated so they need to be diluted in a base, or carrier, oil. For normal skin, try a light base, such as almond, grape seed, coconut, sunflower, or canola. For dry skin, use heavier oils, such as avocado, olive, wheat germ, argan, or jojoba. Medicinal bases, such as calendula, neem, or St. John’s wort, provide therapeutic properties. For a body massage, use a 2.5 percent (for sensitive or damaged skin) to 5 percent (for normal skin) dilution; for a facial massage, use a 1 percent dilution. To make enough for a full-body massage, pour about 2 tablespoons base oil onto a saucer and add about 4–6 drops of your chosen essential oil, or oil blend. Pulse points are areas where blood vessels are close to the surface. Applying essential oils at these points speeds the oil’s absorption. Massage is ideal for addressing problems over a large surface area, for example, achy muscles and joints, digestive problems, and fluid retention. 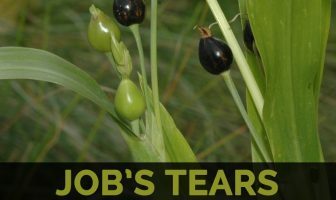 It could be used on home in on an area, for example, massaging the abdomen to relieve period pain or digestive upsets. A therapeutic massage with essential oils is effective at creating a sense of calm and deep relaxation, and a feeling of being cared for. To ease headaches, massage an essential oil balm onto the temples. Try massaging a balm into the pulse points on the wrist or neck to help you relax and unwind. Inhaling an essential oil, or a blend of oils, is a quick and easy way to enjoy the oils’ benefits, and forms the basis of aromatherapy, since an essential oil’s aroma is inhaled whichever method of application one use. The simplest way to inhale an essential oil is to sprinkle 2–3 drops of the oil onto a tissue and then inhale deeply. One can place the tissue in a plastic bag and carry it around with you to use as and when you want. Similarly, sprinkle a few drops of a soothing essential oil onto your pillowcase (or a tissue to avoid staining) at night to help relax and induce restful sleep. Prepare a therapeutic steam inhalation by adding about 4–8 drops of your chosen oil. Lean over the bowl and place a towel over your head to contain the vapor; then, with eyes closed, breathe deeply for 10 minutes, or until there is no more steam. Alternatively, you can buy a special inhaler cup. For epilepsy or asthma sufferers, or with young children, use caution. Instead of leaning over a bowl and covering the head with a towel, simply place the bowl of hot water nearby and capture the wafts of steam. Respiratory conditions, such as hay fever, colds, congested sinuses, or a phlegmy cough, particularly benefit from inhalations. Steam inhalations also refresh and cleanse the skin. Try an inhalation as a quick remedy to calm or invigorate the mind or lift the spirits. Whether you are enjoying a leisurely warm bath or a quick shallow hand, foot, or sitz bath, adding essential oils to water is a hugely pleasurable and popular way to use them. The warmwater relaxes or soothes muscles, encouraging relaxation, and also opens pores to help essential oils penetrate the skin and enter the body more rapidly. Adding oils to a bath Even though the essential oils will be diluted in the bath water, you still need to blend the oils in a base, or carrier, oil before adding them to the bath. This helps the oils to disperse in the water and also moisturizes the skin. For an average-sized bath, mix 4–6 drops of chosen essential oil, or oils, with 1 tablespoon of a light base oil, such as sunflower, which contains waxes that act like an emulsifier, helping to disperse the oils evenly. Buy neutral, water dispersing base oils, or mix the essential oils with 1 tablespoon of whole milk —the fat in the milk works in a way similar to the base oil, helping to disperse the oils evenly. Try to relax in the bath for at least 15 minutes. To get the full benefits of the oils, add them once the bath has been run since they can quickly evaporate in the heat. Hand and footbaths are a great way to target smaller areas of the body quickly. A footbath is helpful in treating athletes’ foot, or soothe tired, sore feet. If your ankles are swollen, try following a hot footbath with a cool one to improve circulation. You can also use hot and cold baths for sore, swollen hands. Fill a bowl or basin (one large enough to fit both feet, and hands) with hot water, and add 4–6 of drops of your chosen oil to a base oil or milk, as for a normal bath. Soak the hands or feet for 10 minutes. A sitz (shallow) bath is an excellent way to treat conditions such as yeast infections, hemorrhoids, and urinary-tract infections, or to heal stitches after childbirth. A tea tree oil sitz bath is a classic treatment for yeast. To make the bath, fill the bath halfway with warm water. Use the same method of dilution as for a large bath, and sit in the water for 10 minutes. Aromatherapy baths are deeply relaxing and reviving. Make sure you give yourself plenty of time to lie back and enjoy the therapeutic soak. A sitz bath can bring immediate relief to conditions such as yeast infections or hemorrhoids, while a hand or footbath is best for aching, swollen, or tired hands and feet or athlete’s foot. A compress infused with therapeutic essential oils is a simple and effective way to treat local complaints such as bruises, burns and scalds, headaches, and varicose veins. Hot or cold? Using hot or cold water can depend on your preference, but some conditions do require cooling while others respond to heat. A hot compress is ideal for complaints such as skin infections, including abscesses and boils, and muscular or joint problems, including strains, backaches, rheumatism, and arthritis. For example, a hot compress with ginger, cypress, juniper, pine, and lavender essential oils is wonderfully warming and relieving for aching muscles and joints. A cold-water compress is ideal for sprains and sports injuries, especially if the area already feels hot and inflamed, and for headaches. Using essential oils such as lavender, neroli, peppermint, and eucalyptus helps to enhance the cooling process. Add 3–4 drops of essential oil to a shallow bowl of hot or cold water. Disperse well. Soak a washcloth, wring out well, and apply to the relevant part of the body. For a hot compress, once the washcloth is positioned, you can cover it with a towel or piece of plastic wrap to insulate it if you want. This also stops the water from dripping onto clothes. Leave the washcloth on the skin until it reaches body temperature, then repeat the whole process three times. If you are using essential oils that can irritate the skin in a compress, it’s important to always predilute the essential oils in a base, or carrier, oil, such as almond or sunflower, before adding the oils to the water. Try a hot compress to relieve aching and tired muscles after an exercise workout or strenuous physical activity. A cold compress works especially well for soothing eye strain brought on by staring at computer screens for long periods of time. Essential oils make a wonderful addition to saunas and steamy showers. Experiment with different blend combinations and aromas to suit your needs at different times. For example, if want to have an energizing shower to kick-start the day, choose stimulating and invigorating oils such as basil and rosemary. Or to help lift the spirits and create a sense of positivity, try uplifting oils such as bergamot, lemon, and rose. For a steamy aromatherapy shower, put 5–8 drops of an essential oil, or oil blend, on a warm, damp washcloth, then put the washcloth in the shower area, but don’t use the washcloth to wash yourself. If possible, hang the washcloth at face level to enjoy the aroma fully. Make sure the shower is hot enough to produce steam. You can also add the essential oil drops to 2 tablespoons unscented shower gel. Add 20–40 drops of an essential oil, or oil blend, to the pitcher of water that is used to splash the coals during a sauna. Cypress, eucalyptus, and pine essential oils all work well in a sauna. Adding essential oils to a sauna or shower is a great way to clear sinuses, relieve tension headaches, and soothe irritating hay fever and allergy symptoms. Using oils in a shower or sauna also invigorates the mind and helps to feel calm and relaxed. This increasingly popular way to use essential oils disperses tiny molecules of the oil into the air in a fine vapor or mist. Traditionally, oil burners have been used to diffuse oils. Today, there are several types of diffusers, including ultrasonic ones, vaporizers that use a small fan or warm water, electronic aromastones, and reed diffusers. Room sprays can also be used to disperse oils. To use an oil burner, pour a little warm water on the hot plate before adding the oil drops to stop the oil from burning too quickly. To use electronic diffusers or vaporizers, add the oils and use according to the manufacturer’s instructions. A room spray is a type of diffusion that releases a more concentrated amount of oil into the air very quickly. To make a room spray, combine 20–30 drops of essential oils with 2 tablespoons each of mineral water and vodka, and transfer the solution to a sterilized atomizer bottle. Most essential oils can be used to scent a room, but citrus oils are particularly refreshing. Essential oils that have antiseptic properties, such as cedarwood, eucalyptus, lavender, and tea tree, are ideal for fumigating rooms, while lemon, lemongrass, and citronella can be used in a spray to repel insects. Diffusers can deodorize or fumigate a room, or simply create a special atmosphere. Sitting near to a burner or vaporizer is an effective way to inhale the vapors of the oils and to benefit from their therapeutic properties. Use a room spray to change the mood in a room, either to create a feeling of calm, to invigorate, or perhaps to add a little romance. Room sprays are also useful for disinfecting and deodorizing an area such as a sickroom and for repelling insects. While some oils, such as lavender, rose otto, chamomile, jasmine, vanilla, and ylang-ylang, can be worn on their own as a scent, most need to be diluted in a base—perfumes are usually a mixture of fragranced oils in an alcohol base. Use single oil or several oils in a blend to create a scent that may have different “notes.” When one smell a perfume, the top notes are typically the first thing you smell, followed by mid- and then base notes. Essentially, try to keep blends to no more than 4–7 oils, and try a blend for a day or so to let it settle to get a better idea of its true aroma. Adding essential oils to a base solution is a great way to create own personal fragrance. One can tailor the scent to suit your unique style and preferences and to create daytime and evening perfumes. Although essential oils should not be swallowed, it could be diluted in water or a base of aloe vera juice to make an effective mouthwash or gargle that can be used to support good oral health and hygiene. Homemade mouthwashes are cost-effective and can be tailored to the needs. They also avoid a range of synthetic ingredients that are often found in commercial mouthwashes. To make a basic mouthwash or gargle solution, dilute 4–5 drops of essential oil (clove, fennel, ginger, lemon, mint, rosemary, and sage are all good antiseptic choices) into a tablespoon of base oil. Further dilute this blend into a glassful of hot water and use as needed. Do not swallow the mixture. Mouthwashes and gargles are ideal for mouth sores, gum disease, and throat infections, and to help combat bad breath. Using oils in balms, ointments and cream bases helps to promote skin healing and to nourish skin. Ointments tend to be oil based, while balms & creams consists of extra ingredients for a creamier texture. Treat localized areas, applying a balm or ointment where needed, to encourage healing or to combat skin dryness. Combining essential oil blends with herbal infusions, or creating conditioning hair oils by mixing essential oils with nourishing bases such as coconut oil, are great ways to enjoy a hair-care regimen using natural products. Essential oil hair products help to restore shine and luster to hair while avoiding the many added ingredients in commercial products. Use nourishing essential oil hair treatments to revive dry and dull looking hair.